Peter Stead on his new film to celebrate the 50th anniversary of Hollywood's verson of Richard Llewellyn's best-selling novel. The author reviews Our Mother's Land: Chapters in Welsh Women's History 1830-1939, and finds Welsh stereotypes turned on their head. 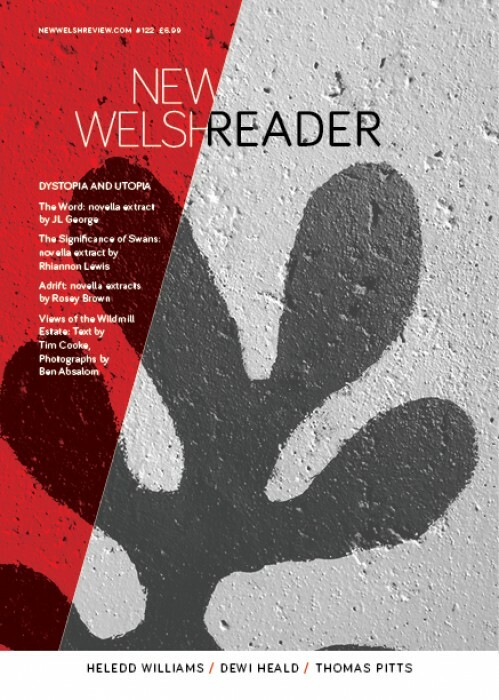 Eleri Carrog explores the meaning of Welshness. As the forces of Mammon seek to scrap all Sunday trading restrictions, the author restates the case for the traditional Welsh Sunday. The author discusses, with the help of several new books on the subject of rugby, the outlook for Wales's national game. Tom Davies takes a nostalgic look back at 'perhaps the most famous and misunderstood' images of Wales, Tiger Bay. The author explores Dannie Abse's longest and most ambitious poem and the poet's abiding concern with the nature and exercise of authority. Nigel Jenkins discusses the competition and introduces 22 of the best haiku. A review of a new haiku collection by the Festival winner, David Cobb. The Government is planning to publish a 'national arts strategy'. Anthony Conran looks back at what has been achieved for both of Wales's literatures and spells out some immediate priorities. In the second of our series on Welsh publishers, Herbert Williams talks to Ned Thomas, the new director of University of Wales Press. The author pays tribute to Gwenlyn Parry, a revolutionary figure in the Welsh language theatre. A tribute to actor, Ray Smith. Jon Gower's round-up of broadcast media.